While studying in the US, you’ll have the chance to experience a whole host of US traditions – and probably the most famous one is Thanksgiving. Thanksgiving is an annual holiday marking the feast between the pilgrims and Native Americans after the first autumn harvest which dates back to 1621. Thanksgiving is usually celebrated on the fourth Thursday in November. Students from all around the world have been enjoying traditional celebrations at our US centres this week. 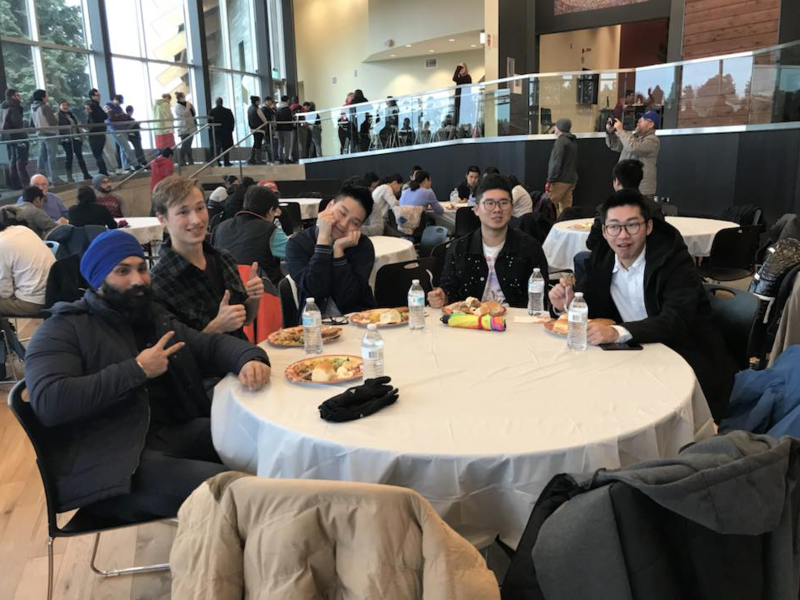 INTO Washington State University students were treated to a traditional meal including turkey, mashed potato and stuffing! Other foods eaten on Thanksgiving include sweet potato casserole, topped with marshmallows and pecans and baked in the oven! Bacon and pecan stuffing cornbread is also a favourite. And of course, we can’t forget the famous pumpkin pie. 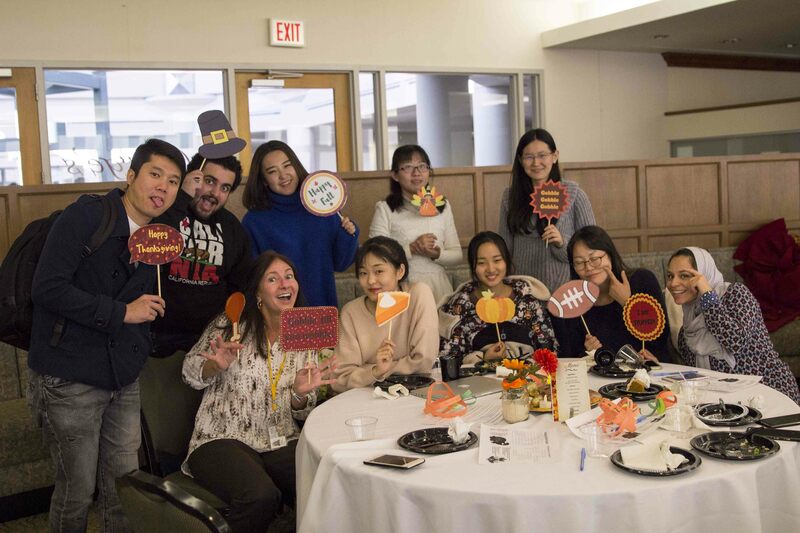 The celebrations at INTO George Mason University, in connection with the George Mason University Office of International Student Programs (OIPS), included a full Thanksgiving menu. 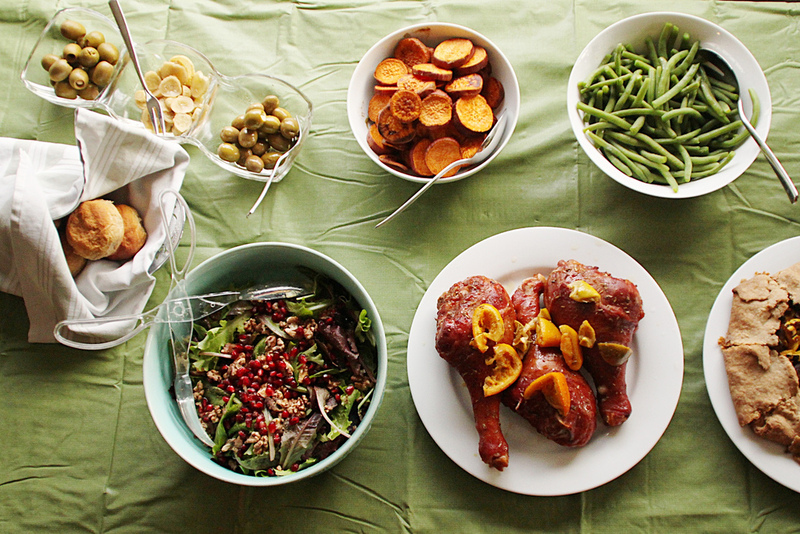 Featuring turkey, mashed potatoes, green beans, stuffing, salad, pumpkin pie and apple pie. 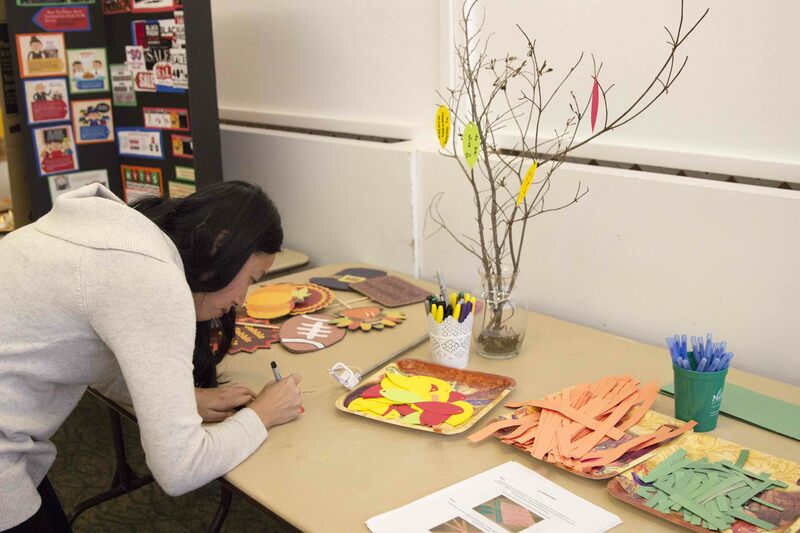 Students were also able to create paper-mâché pumpkins and add a leaf to the “thankful tree” to show what they were thankful for this year. 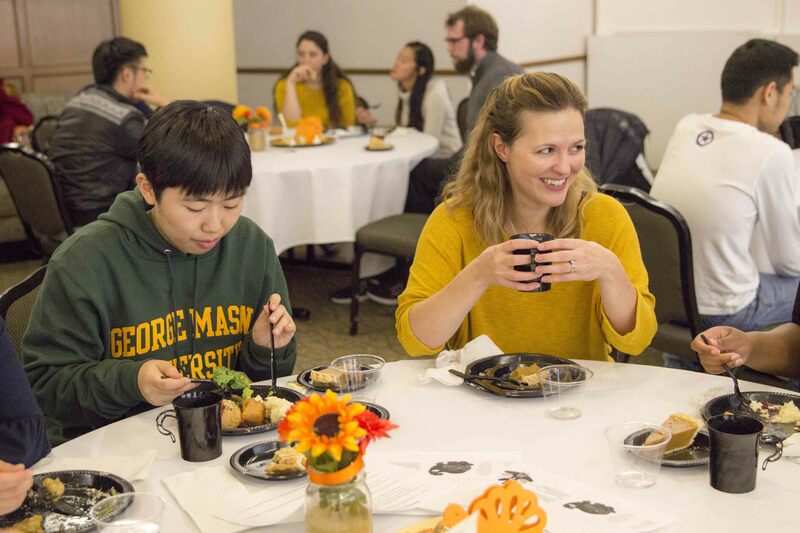 By the end of the meal, the tree was full of thankful thoughts ranging from health and family, to the opportunity to study at George Mason University. Said Huan-Ju, a graduate student studying Health Systems Management. 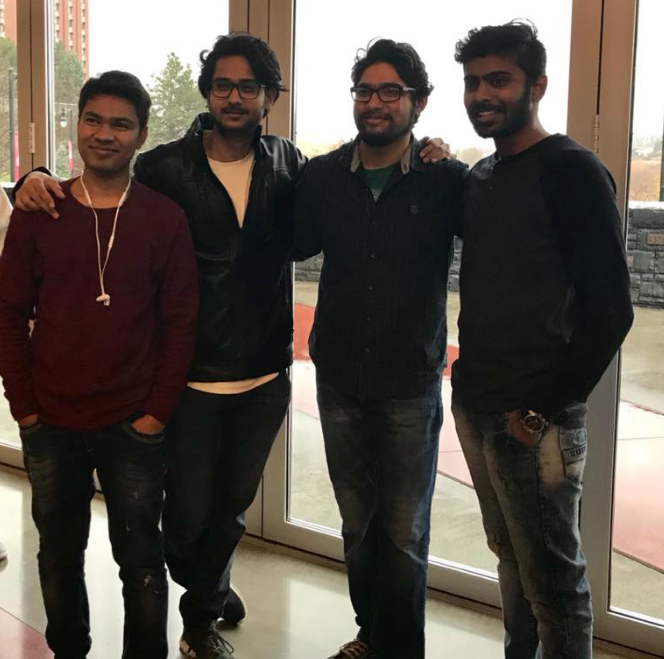 INTO Saint Louis University (SLU) served up a buffet extravaganza. The celebrations didn’t just take place in the US either, Queen’s University of Belfast hosted a fantastic Thanksgiving dinner. 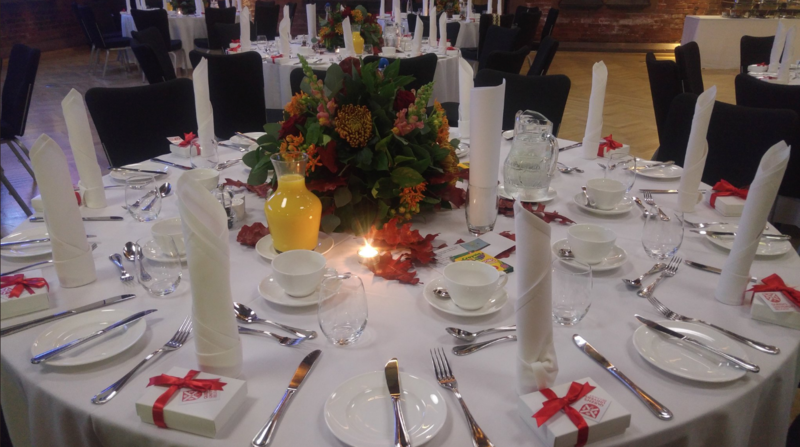 Just look at those fantastic autumnal table decorations! Do you dream of studying in the US? Click here to find out how to turn that dream into a reality today. 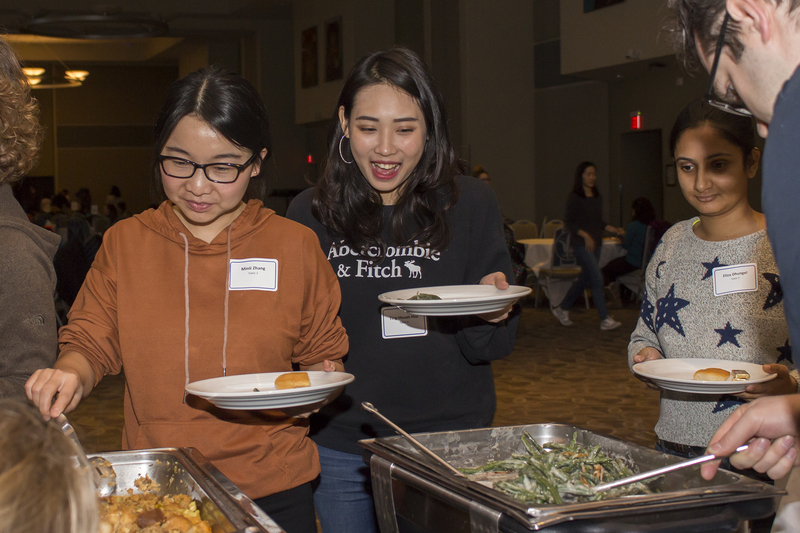 Chip from Vietnam celebrated Thanksgiving whilst studying in the US – explore her blog as she shares her first ever Thanksgiving experience abroad. You may also like to read 7 unusual Thanksgiving traditions. 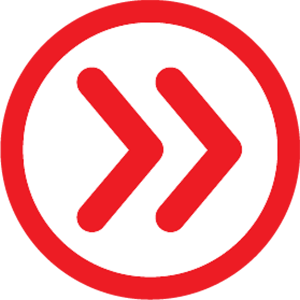 Follow us on Facebook, Twitter, Instagram and YouTube to stay up to date with the latest student stories.